There is much talk this week of the 20th birthday of a very special book. 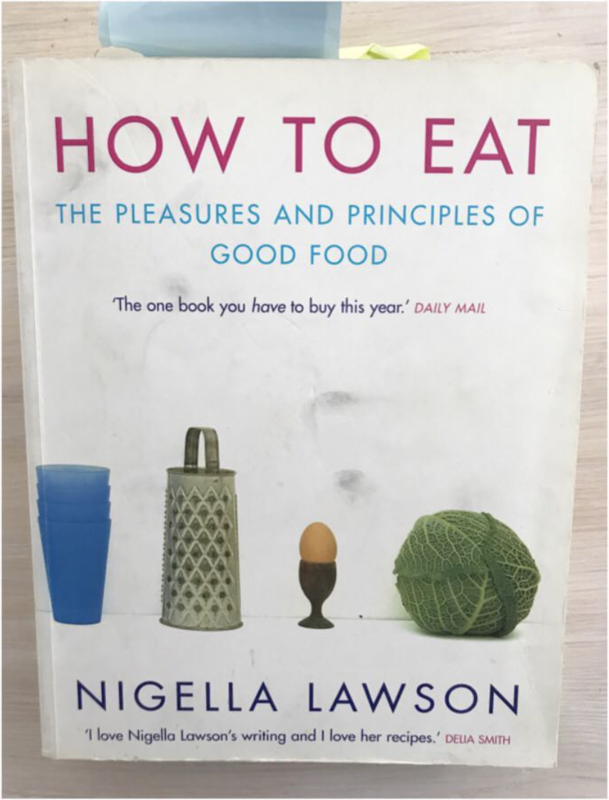 It has been a delight to read some of my favourite writers (of whom Bee Wilson wrote my favourite article in The Guardian here) share the way this book – How To Eat by Nigella Lawson changed their lives so I thought I’d chime in with how it changed mine too. This book came out when I was 20, living in a rented student house in Leeds with a minuscule food budget and a disgusting kitchen. At that time Nigella wrote about food for Vogue and I had a stack of her recipes, ripped from the magazine, in my first recipe binder. I bought my copy of the book from a discount bookshop having travelled to London by coach to see friends, a 5 hour trip that is etched in my mind because a man sitting uncomfortably close next to me on the coach ate a whole rotisserie chicken with his hands in between smoking 20 cigarettes. The book was half price because the cover was damaged. This was pre-Amazon and cookbooks were a real investment. I read it in a day on the coach journey back home and knew I’d found something really special from the first page. The life she described was nothing like the one I was living then but the unapologetic joy she had for food and her use of language transported me and made me dream of a life where I’d have relaxed lunches with friends. Even though my means and surroundings stood in the way of some of the meals she described, I quickly worked my way through the book and its pages are splattered, covered in notes of parties and meals with friends. It charts my adult life and came with me like a comfort blanket when I moved down to London to live, met my husband, bought our first flat, had our babies and was in my hand luggage when we moved overseas. Reading it again now, it’s funny how many of the views on food and eating that I’ve always thought were my own have, in fact, come from this book. If hasn’t dated at all. If you’ve only known her through TV, you really should take time to read this. If you don’t have a copy, treat yourself to one here. Read it cover to cover and let me know what you think. 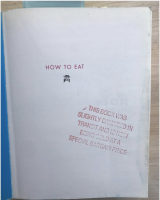 And if you’ve got a copy already, let me know what it taught you about how to eat. Follow me on Instagram and Facebook to get my kitchen updates and recipes as I cook them. If you’d like to get my newsletter every couple of weeks, packed with tips like this, recipes and my meal plans, please sign up here.